Here is a recipe for a very quick and easy green tea cake. The original recipe just used cinnamon and sugar as a topping. Happy New Year! This is my first blog post for 2015. I am planning to write more frequently with a goal of one post each week. The Japanese have a tradition of sending nengajo – New Year cards (年賀状) to family and friends. These cards include a brief update of what has been happening in the previous 12 months and may include a family picture. My wife and I spent New Year in Japan at the end of 1999 and I enjoyed the many traditions of that time of the year : the special meal on New Years Day and visiting a shrine at Dazaifu. 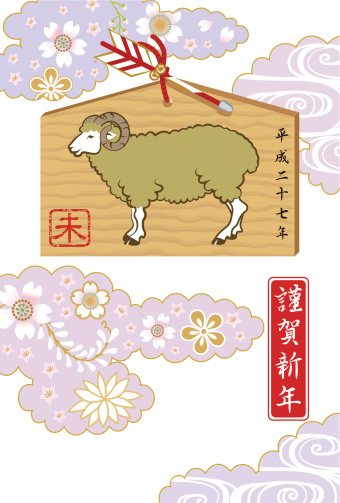 The Japanese used to follow the lunar year, similar to Chinese with the 12 year zodiac cycle. 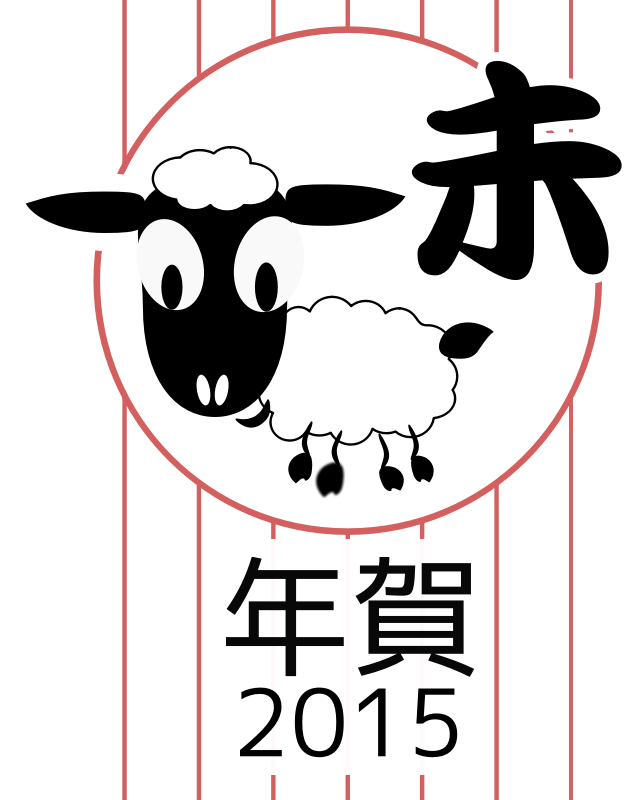 2015 is the Year of the Sheep, sometimes known as the Year of the Ram or Year of the Goat. Author CharlesPosted on January 4, 2015 Categories Japanese1 Comment on Happy New Year! This is a beautiful Japanese song written and performed by Yumi Matsutoya (松任谷 由実). I have wanted to have an English translation but it seems that the Japanese is rather challenging to translate. If you are a native Japanese speaker, would you like to have a go at translating into English? Otherwise, sit back, relax and enjoy the music! Guests and fellow toastmasters … My name is Charles Cave and I would like to introduce myself by giving you a portrayal of my job, my interests in Japan and music, and my penchant for being a perpetual student. A speech delivered in a Toastmasters Area level contest in 1989. Have you ever been to Japan? It’s an incredibly funny place because they speak a strange dialect of English. I went on a holiday to Japan with my wife and I knew it would be a funny place when I was going through customs. My wife being Japanese joined the queue for Japanese nationals. I had to join a queue headed ALIENS – I felt like ALF from the planet Melmac. I didn’t see any short hairy aliens with big noses and a wart, but rather some fellow Australians and a few Americans. While Japan opens its trading doors to the West and we are penetrating the Japanese markets, little attention has been focused on intelligent communication. As a result, two distinct dialects have developed, causing havoc to businessmen and tourists alike from both countries. These two dialects are called JAPLISH and ENGANESE or Japanese English and English Japanese and were created through unprofessional translating. A good example of Japlish was found on a menu in Tokyo – SMOKED SERMON – well, reasonably obvious, but how about finishing your meal with ROGUE FART CHEESE AND CLACKERS? I borrowed the film from Stanton library and it looked like an interesting modern Japanese film. I watched the film by myself with the headphones on, and I haven’t been so scared and on the edge of my seat since Stanley Kubrick’s “The Shining”. The film is about a woman in the process of getting divorced and her 6 year old daughter Ikuko. They find an old apartment to rent, but the ceiling has an annoying drip. Where is the water coming from and why is it getting worse? A child in a yellow raincoat and carrying a red bag is seen around the apartment and nearIkuko’s school. Who is this child? Is she the child missing a year ago? Japanese Horror films, also known as J-Horror (see the article in Wikipedia) use sound and music to build up suspense and tension unlike the shock and gore ofAmerican horrow films. 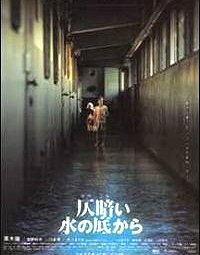 The story of this film is very reminiscent of Japanese ghost stories with spirits of the dead wanting to return to the living world. I highly recommend this film (preferably don’t watch it alone) especially for the dramatic ending and a twist in the story some years after the main events. Full details of the story can be read on this Wikipedia article. The actress who plays the sixteen year old Ikuko (Asami Mizukawa) is very pretty and has her own web site. The Blog of Charles Blog at WordPress.com.